East Valley cities of Scottsdale, Tempe, Mesa, Chandler, Gilbert and more offer a wide range of properties, including ranches, tract home developments, high end custom homes, high-rises, condos, and more. East Valley home inspections need to be backed by the history and experience of working in these neighborhoods in order to know what to look for on these unique properties. If you’re looking to buy a home in the East Valley or want a professional inspection done on your existing East Valley home, White Glove has the expertise and know-how to get you information you need. Get an instant home inspection cost estimate by choosing an option below. Each town or city has its own unique character, history and lifestyle. Scottsdale is known for its equestrian lifestyle, arts, and high-end homes and resorts — including some of the world’s best golf. Your Scottsdale home inspector better be able to live up to architecture associated with Frank Lloyd Wright. When you think of Tempe, Arizona State University and its growing, modern campus probably comes to mind. Surrounding ASU are some of the East Valley’s most historic communities and homes. Tempe also has its share of condos, ranch-style homes, and high-end custom builds. Chandler and Gilbert make up a duo of fast-growing cities that keep their histories and small town feel while bringing in high-tech jobs and businesses, along with parks, recreation and other economic development. While you’ll find many new homes in these areas, there are also neighborhoods with some real history. Your home inspector will help you understand exactly what you’re looking at in these cities. Mesa, AZ, home of the Chicago Cubs spring ball, is the largest suburban city (by population) in the United States! That’s why you’ll find a variety of home styles, ages, and architecture there. With several colleges and university campuses, an arts center, and amazing parks, Mesa is a great place to move your family. 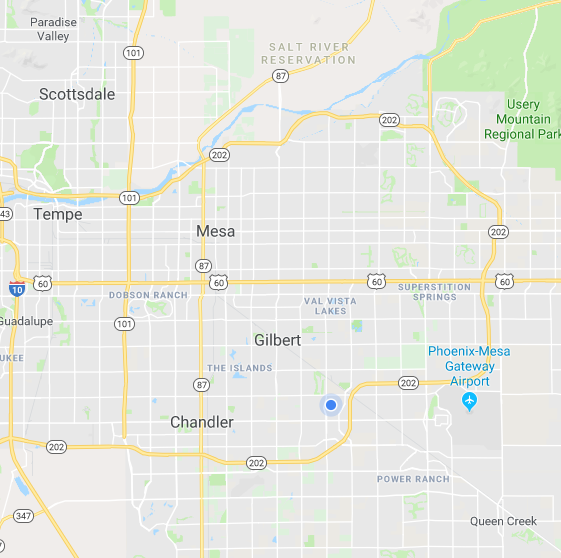 Ahwatukee, while technically part of Phoenix proper, is considered to be in the East Valley, as it sits up in the eastern foothills of South Mountain and shares all the familiar East Valley streets. As you drive through Ahwatukee, you’ll see a pattern when it comes to the build and design of the homes there. We have the experience in Ahwatukee to do a proper home inspection and protect your investment. The East Valley has so many great areas and residential communities. You’ll find something there that is just right for your family. When you do, work with White Glove to get a home inspection done by professionals with the experience working in the East Valley to know what to look for in these eclectic homes. Coming Soon. Check out all of our Testimonials from happy clients!